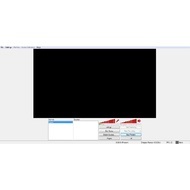 Open Broadcaster Software (OBS) is a special utility that provides live streaming capability. The program is an extremely good solution for those people who want to record game walkthroughs or a desktop area. It can also save a broadcast on a hard drive disk. The program is absolutely free and hasn’t any subscriptions and payments. It’s the open-source project. The code is available on Github for everyone. 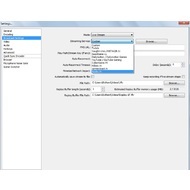 Besides, the utility has support for custom plugins. Users can create their own plugins or download popular extensions from the official website. 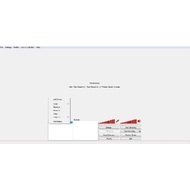 The interface offers Scenes and Sources. 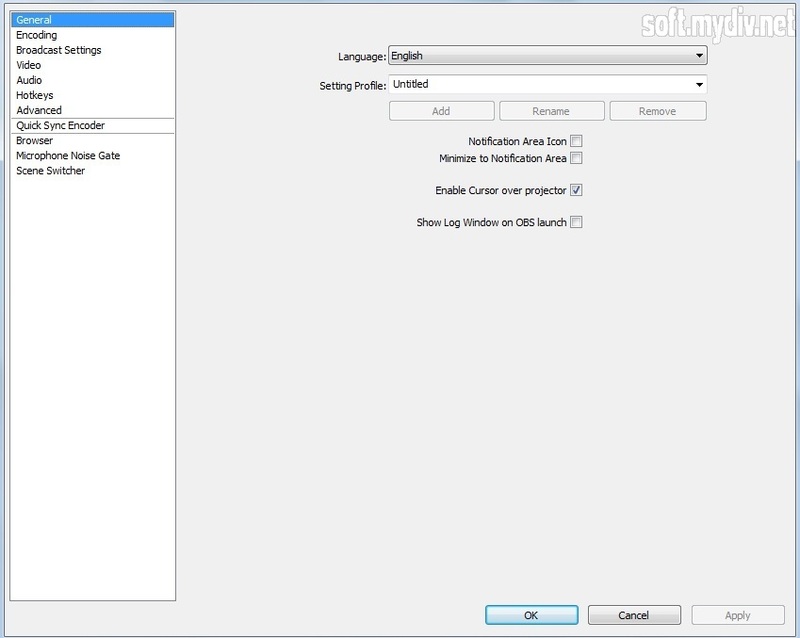 If you want to change your language, open Settings, click on the first tab, and choose the language in the General section. Before you will start streaming, you should set up your audio and video preferences, as the base resolution, video adapter, auxiliary audio device, microphone, and others. Also, you need to point a video bitrate and audio codec in Encoding tab. 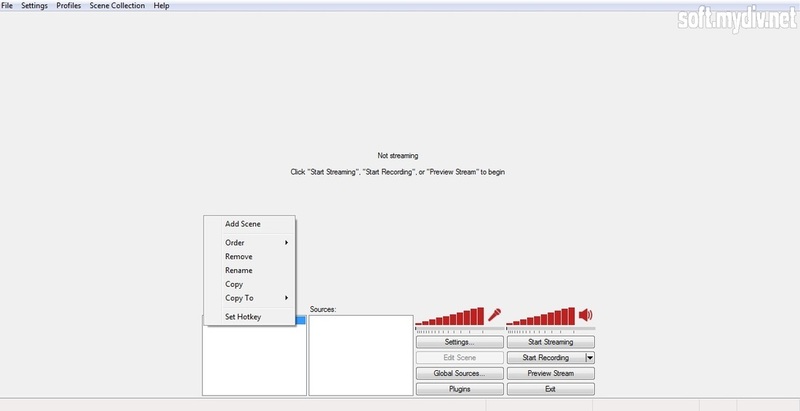 Broadcast Settings allows you to select the following streaming services: Twitch, Dailymotion, Hitbox, YouTube, Azubu, Goodgame, Connectcast, Vaughn Live, and CyberGame. 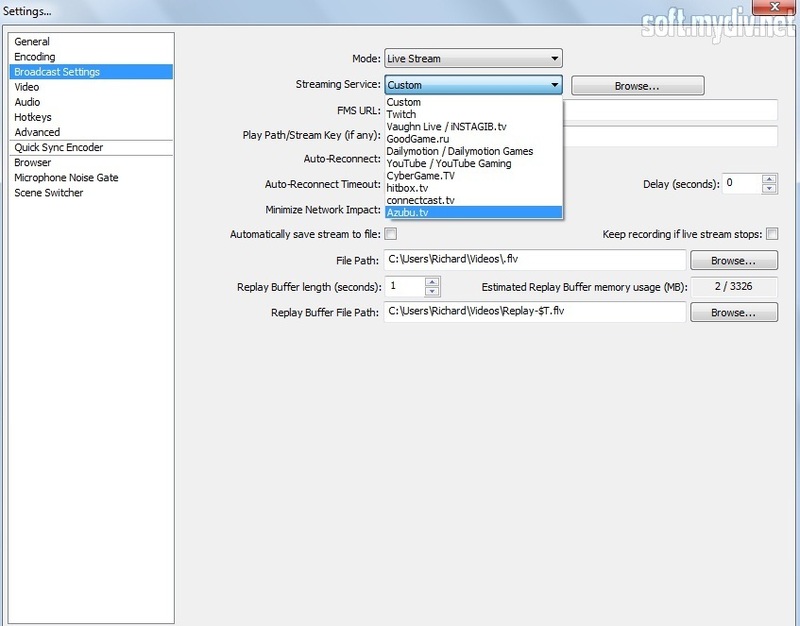 You can also change the mode from Live Stream to File output only to record a video without a live stream. 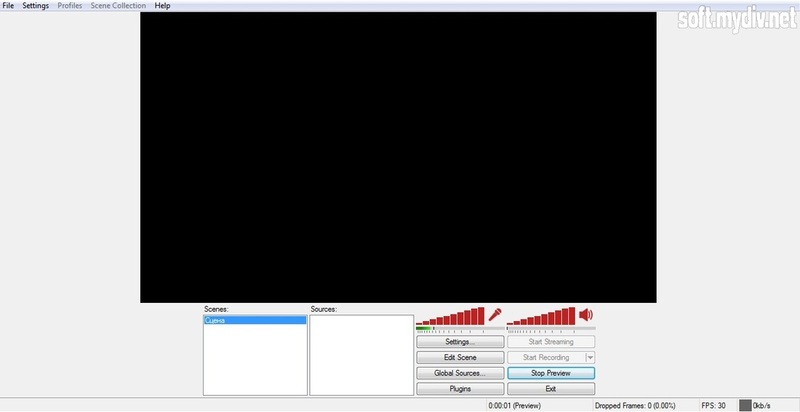 OBS is the very popular program for live streaming and broadcast recording. It’s considering as the main rival of Xsplit Broadcaster. If you are looking for free and comprehensive streaming software, we recommend you to download this program. Capture video games and desktop screen. The program has support for the unlimited number of sources and scenes. A variety of live RTMP streaming services. 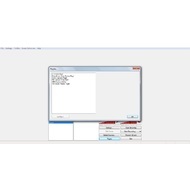 Record videos in MP4 or FLV format. Webcams and capture cards support. H264 and AAC codec support. 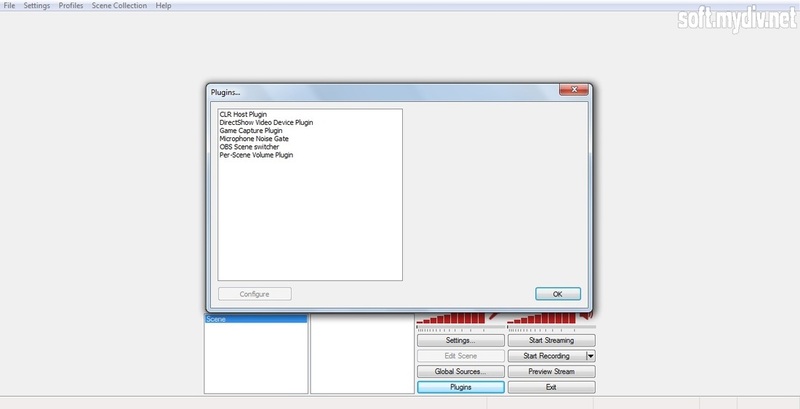 You can set up your video bitrate and assign hot keys. Intel Celeron CPU or higher. 2 GB RAM or above. 1 GB minimum of disk space. 640 x 480 screen resolution. Analog Input\Output and\or Digital HDMI, SPDIF. You can use preview scaling via the right-click context menu. Fixed a crash on startup with some AMD switchable graphics laptops.